2) The Rare Stamps Motto - Seek and ye shall find! 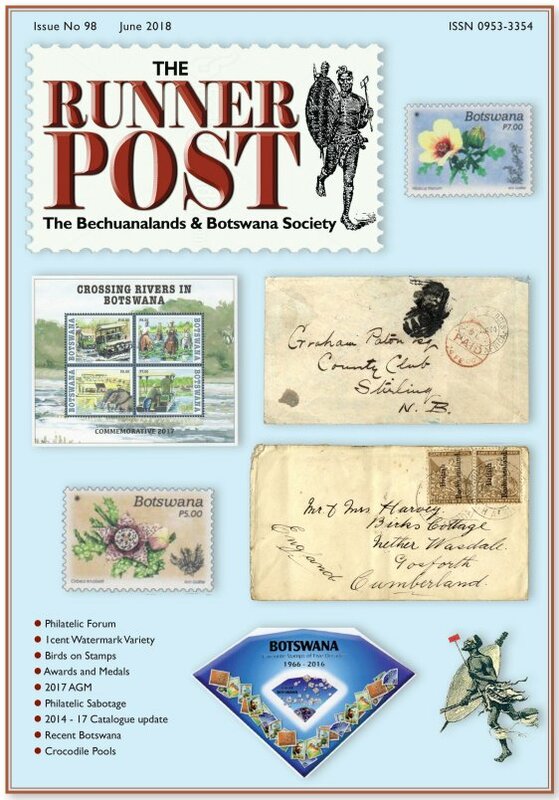 Botswana Postmarks (2014) Update - Editorial comment. 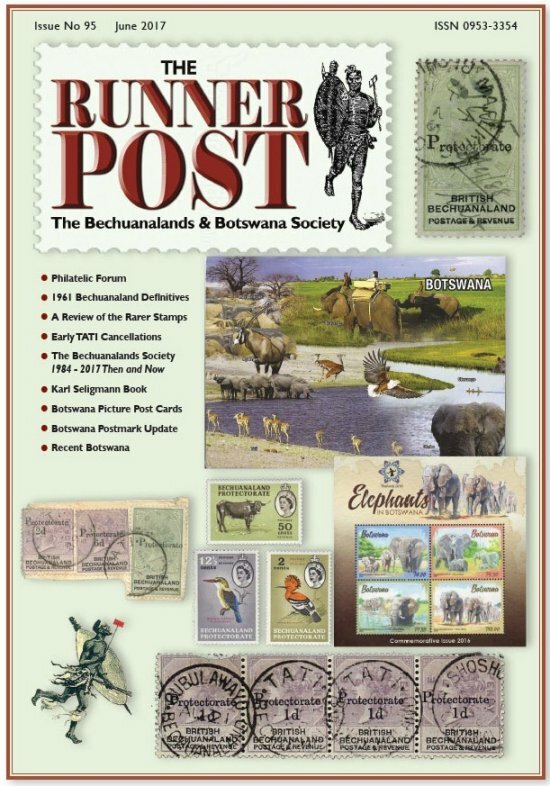 Botswana - Fifty Years of Stamps Part I. Recent Botswana Issues - Bloemfontein, Bloemfontein where art thou? This is a most valuable work so far as the chapters on the postal services are concerned, but no reliance should be placed on the opinions expressed on the genuineness or otherwise of certain varieties. BEAUMONT K. M. & STANTON J. B. M.
Uncatalogued Overprint Varieties of Bechuanaland Philatelic Journal of Great Britain Volume XXXII p. 148. 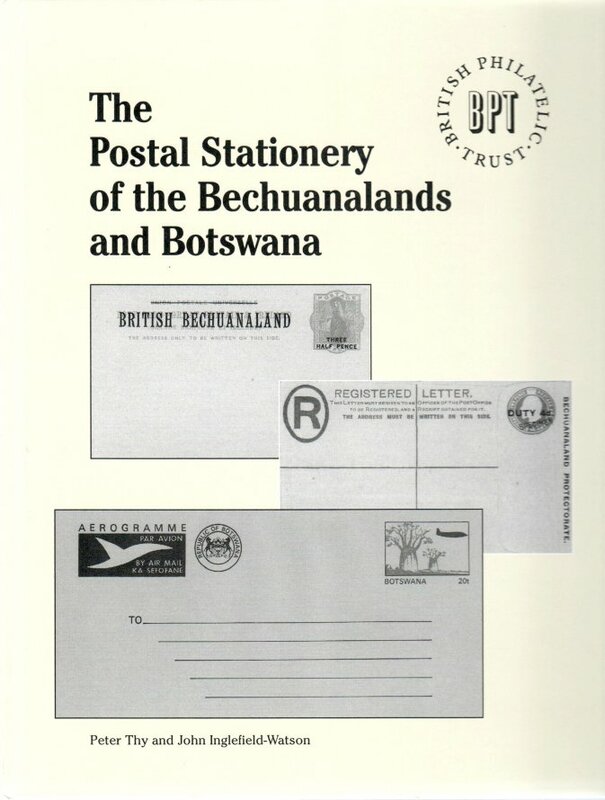 The following is intended to be a comprehensive listing of published information and handbooks useful for the student of the postal stationery of the Bechuanalands and Botswana. The inclusion of a work in this list does not imply that it has been quoted in the present text nor that its content is accurate in the light of later information. Anonymous, 1961. South African Philatelist 37, 143, 1961. Africa, 1895. See Philatelic Society, 1895. Beckhaus, W., Krause, Dr., and Maaß, Prof., 1938. Welt-Ganzsachen-Katalog. Berliner Ganzsachen-Sammler-Verein, Robert Noske, Borna-Leipzig. Bendon, J., 1988. U P U Specimen Stamps. James Bendon, Limassol, Cyprus. Bendon, J., Latto, C., and Samuel, M., 1984. Supplement to Specimen Stamps of the Crown Colonies. Royal Philatelic Society London. Bright & Son, 1908. Descriptive Priced Catalogue of The World’s Postage Stamps. Part II. Postcards, Envelopes, Etc. Bright & Son, London. Bullivant, P.N., 1962. 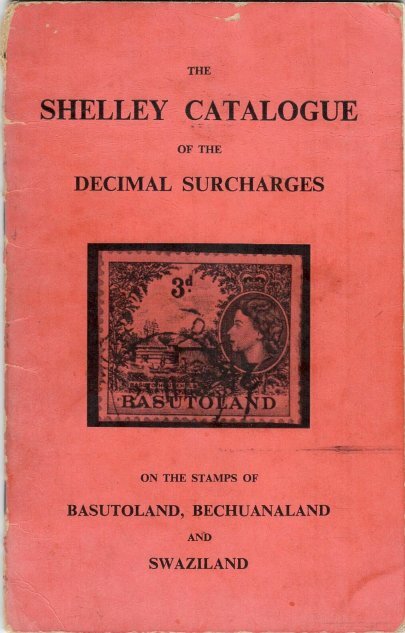 The Shelley Catalogue of the Decimal Surcharges on the Stamps of Basutoland, Bechuanaland, and Swaziland. Stamp Collecting Ltd, London. Cattell, P., 1989. The African (Auxiliary) Pioneer Corps. The Runner Post 15, 265 - 269. Cattell, P. and Inglefield-Watson, J., 1991. The ‘stampless’ registration envelope. The Runner Post 22, 395. Catterall, J., 1993. The airgraph service during World War 2. The Runner Post 30, 603 - 605. Christie’s Robson Lowe, 1990. 24 April 1990 sale. Cook, H., 1990. Post card discovery. The Runner Post 20, 358. Cook, H. and Campbell, H., 1992. 2d postcard – ‘thick white’ versus ‘thin buff.’ The Runner Post 27, 523. Criddle H.M., 1968. Crown Agents Records – Bechuanaland. Part 2. Newsletter KGVI Collectors Society 48, 56 - 59. Dagnall, H., 1985. The Evolution of British Stamped Postcards & Letter Cards. Their History and Documentation. H. Dagnall, Edgware, Middlesex. F.I.P. Regulations, 1995. General and Special Regulations and Guidelines for Evaluation of Exhibits of Postal Stationery at F.I P. Exhibitions. Postal Stationery Commission. Godfrey, I.H.C., 1955. The airgraphs of Southern Africa 1941 - 1945. South African Philatelist, July, pp. 120 - 121, and Sept., pp. 157–159, 1955. Harmers, 1981. Catalogue of the H.R. Holmes Collection. Sale 4327, 29 October 1981. Harmers, 1986. British Commonwealth Sale Catalogue featuring the Charles Barkaway Collection. Sale 4478, 25 June 1986. South Africa (1971 edition) sections. Holmes, H.R., 1971. The Postage Stamps, Postal Stationery, and Postmarks of the Bechuanalands. Royal Philatelic Society, London. Inglefield-Watson, J., 1987. Postal stationery news and views. The Runner Post 6, 20 - 23. Inglefield-Watson, J., 1988. Postal stationery news and views - 2. The Runner Post 11, 188 - 190. Inglefield-Watson, J., 1989a. Postal stationery news and views - 3. The Runner Post 15, 263 - 264. The Runner Post 17, 309–311. Inglefield-Watson, J., 1991. The ‘poor relation’ - postal stationery with no imprinted stamp. The Runner Post 25, 471–477. Inglefield-Watson, J., 1992a. Postal stationery news and views - 5. The Runner Post 27, 524 - 526. Inglefield-Watson, J., 1992b. The ‘poor relation’ - postal stationery with no imprinted stamp (part 2). The Runner Post 26, 502 - 508. Inglefield-Watson, J., 1993a. G. B. Postal stationery overprinted for the Bechuanalands. The Runner Post 31, 636 - 639. Inglefield-Watson, J., 1993b. Bechuanaland Protectorate - quantities printed – KGV, KGVI & QEII issues. The Runner Post 30, 606. Inglefield-Watson, J., 1996. The British Library Philatelic Collections - The Board of Inland Revenue Stamping Department Archive. The Runner Post 43, 1004 - 1005. Inglefield-Watson, J., 1997a. Postal stationery registered envelopes - essays for the 1887 British Bechuanaland issue overprinted on G.B. issues. 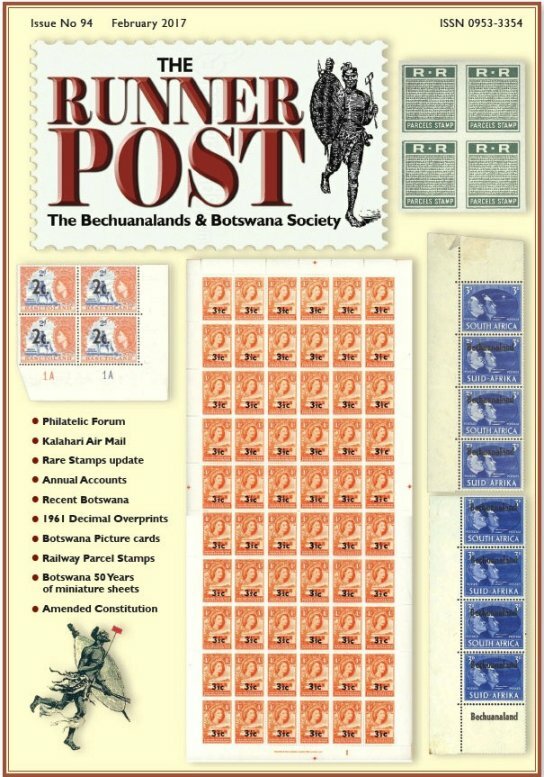 The Runner Post 46, 1124 - 1128.
International Reply Coupons of Bechuanaland - Botswana. The Runner Post 56, 137 - 1374. Kaplan, A., Legator, S., and Sheffield, W.N., 1952. Handbook/Catalogue. Union of South Africa Stamps. Van Riebeeck Tercentenary Edition. Philatelic Federation of Southern Africa. Johannesburg, South Africa. Keeton, E.H., 1987. Airgraph Handbook. Forces Postal History Society, Kings Lynn, England. Kessler, 1961. Kessler’s Catalogue of Aerogrammes. Aerogramme Catalogue Publishing Co., New York. 3 Volumes. (Volume 3 published by Lava, New York). MacGregor, A., 1993. Items of interest - B.B. 1894 2d postcard on ‘thick white’ (H&G 3). The Runner Post 30, 599. MacGregor, A., 1995. Items of interest - Botswana stationery card for World Meteorological Organisation. The Runner Post 38, 828 - 829. Mackay, J.A., 1964. The Tapling Collection of Postage and Telegraph Stamps and Postal Stationery. British Museum, London. Teil 1 Länder A-Le. Europäischer Aero-Philatelisten-Club E.V., Stuttgart. Philatelic Society, 1895. 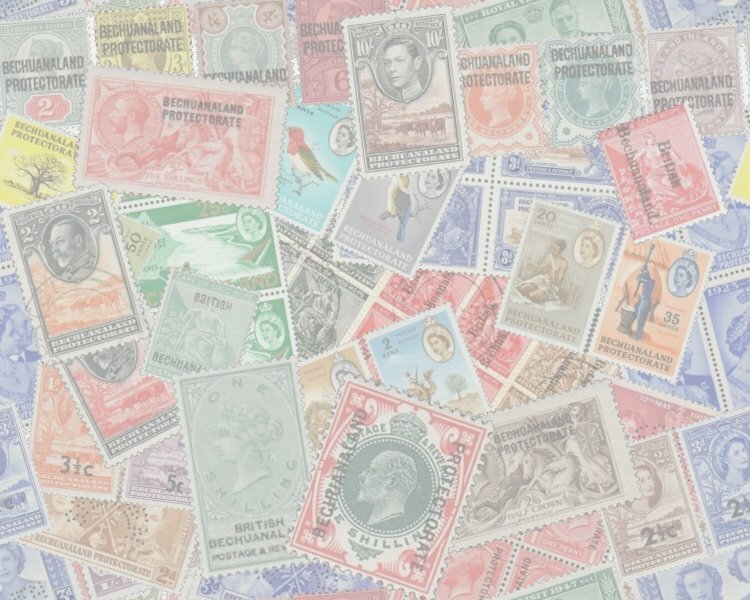 The Postage Stamps, Envelopes, Wrappers, Postcards, and Telegraph Stamps of the British Colonies, Possessions and Protectorates in Africa, Part 1. Philatelic Society, London. Postal Stationery, 1956 - 64. New issue chronicle. Postal Stationery, 7 - 8 (United Postal Stationery Society). Quik, W.J. and Jonkers, G.H., 1998. The Postal Stationery of South Africa. Part 1. Cape of Good Hope, Natal, New Republic, Orange Free State, Transvaal, Zululand. Filatelistenvereniging Zuidelijk Afrika, Rotterdam, Holland. Robson Lowe, 1949. The Encyclopaedia of British Empire Postage Stamps, 1806–1948. Volume II. The Empire in Africa. Robson Lowe, London. Robson Lowe, 1976. Specimen Stamps, Basel II Auctions, 27 October 1976 (in association with P. von Gunten). Robson Lowe, 1983. British Empire Sale Catalogue featuring the D. Eley Collection. Sale 4789 - 91, 15 June 1983. Robson Lowe, (1989). The Watson Postcards. Robson Lowe, London. (Extract in The Runner Post 18, 320 - 321). Robson Lowe and Paul von Gunten, 1976. Africa in Switzerland, Basel I Auction, 26 - 27 October 1976. Samuel, M. and Huggins, A., 1980. Specimen Stamps and Stationery of Great Britain. Great Britain Philatelic Society, London. Senf, 1910. Postwertzeichen-Katalog, Ganzsachenteil. Gebruder Senf, Leipzig. Stamps of South Africa. Handbook Catalogue. Golden Jubilee Edition, Philatelic Federation of Southern Africa, Johannesburg, South Africa. Sprighton Philatelic Auctions, 1973. Sale 34, 31 July 1973, Johannesburg. Stanley Gibbons, 1900. Priced Catalogue of the Envelopes, Post Cards, and Wrappers of the World. Stanley Gibbons, London. Stephen, J., (1948). J. Stephen’s Airgraph and V...- Mail Catalogue. Liverpool, England. Thy, P., 1994. The Introduction and Usage of Postal Orders in Bechuanaland Protectorate. Krone Publications, Davis. Thy, P., 1995. Formula stationery of Botswana’s expedited mail service. The Runner Post 38, 836 - 839. Thy, P., 2000a. 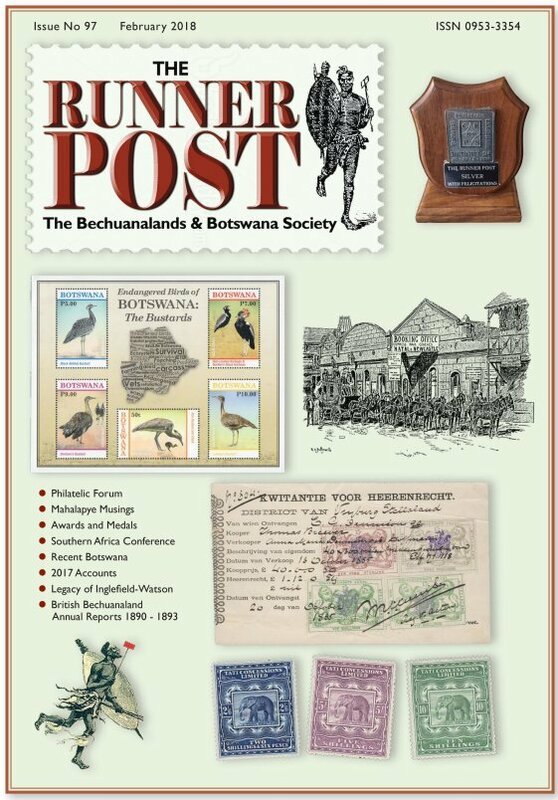 Bechuanaland and Botswana postal orders. The Runner Post 52, 1306 - 1312. Thy, P., 2000b. The aerogrammes of Botswana. Postal Stationery 42 (2), 34 - 37. United Postal Stationery Society. Thy, P., 2001a. The aerogrammes of Bechuanaland. Postal Stationery 43 (4), 55 - 59. Thy, P., 2001b. The aerogrammes of Bechuanaland. Forerunners 38, 23 - 28. Thy, P., 2002. S. African Active Service Letter Cards used in Bechuanaland. Postal Stationery 44 (2), 46. Thy, P. and Andersson, A., 1991. New stampless postal stationery from Botswana. The Runner Post 24, 449. Thy, P. and Andersson, A., 1994. Botswana aerogrammes. The Runner Post 37, 797–802 (corrections in Runner Post 39, 857, 1995). Thy, P. and Inglefield-Watson, J., 1996a. Work in progress: Bechuanaland and Botswana postal stationery. The Runner Post 43, 1002. Thy, P. and Inglefield-Watson, J., 1996b. Work in progress: Bechuanalands and Botswana postcards. The Runner Post 44, 1050 - 1051. Thy, P. and Inglefield-Watson, J., 1996c. The overprinted 2d British newspaper wrapper. The Runner Post 45, 1096 - 1097. Thy, P. and Inglefield-Watson, J., 1999. Postal stationery checklist: work in progress. 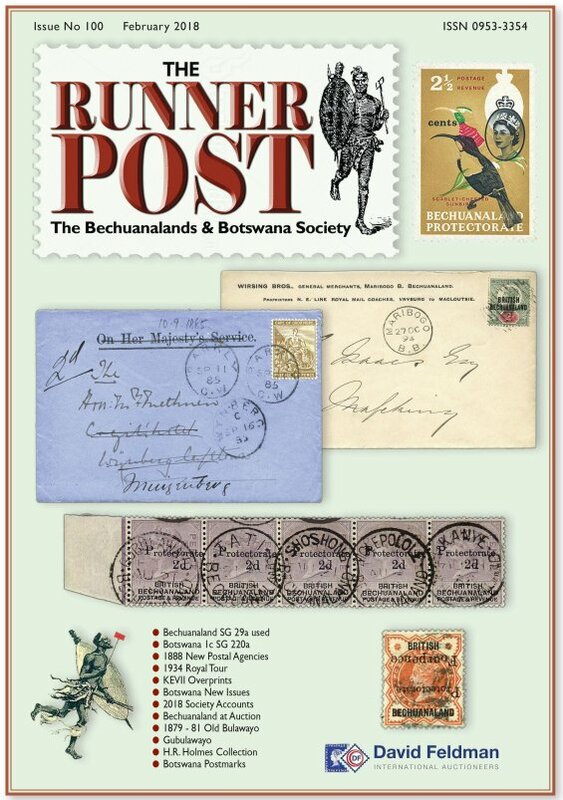 Bechuanalands and Botswana Registration envelopes. Newsletter No. 4 (Jan. 1999), 5 - 7. 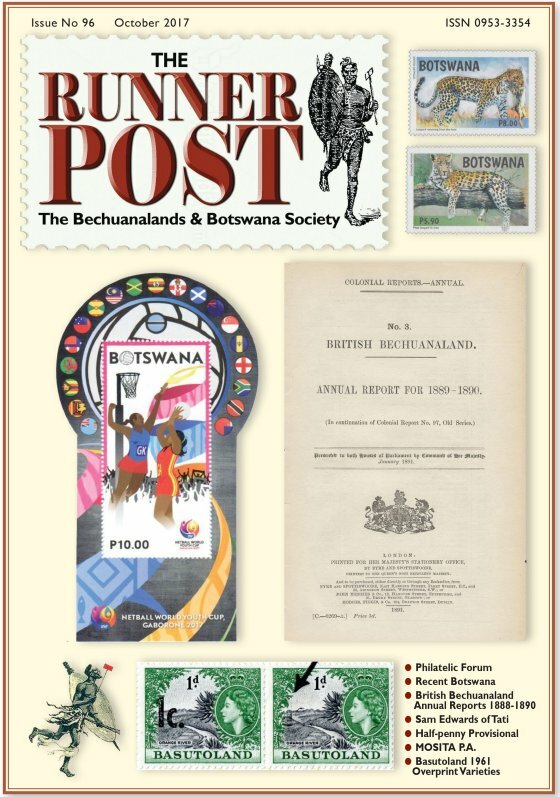 The Bechuanalands and Botswana Society. Thy, P. and Inglefield-Watson, J., 2000. 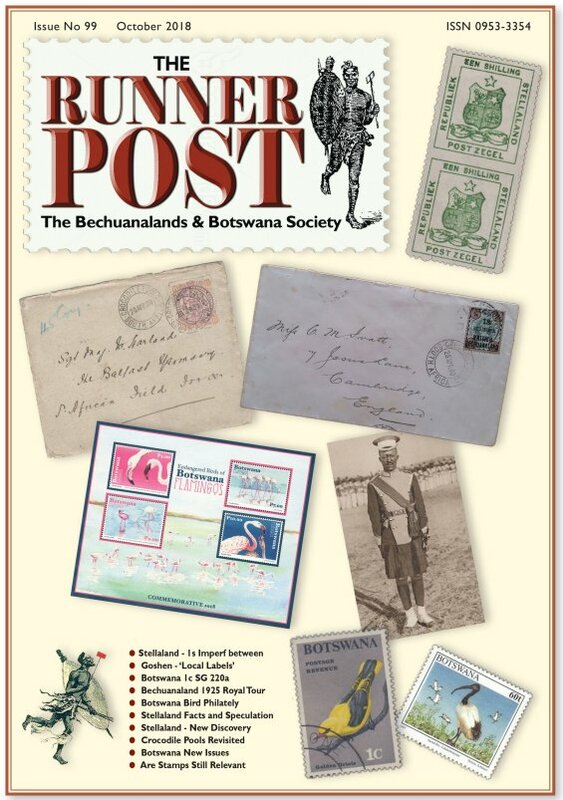 Bechuanaland and Botswana postal stationery specimen markings, essays, and proofs. The Runner News No. 6 (Feb. 2000), 5 - 7. The Bechuanalands and Botswana Society. Thy, P. and Inglefield-Watson, J., 2002a. Forged Bechuanaland newspaper wrappers. The Runner Post 54, 1344 - 1346. Thy, P. and Inglefield-Watson, J., 2002b. Discovery of unissued British Bechuanaland wrapper. The Runner Post 56, 1379 - 1380. Thy, P. and Inglefield-Watson, J., 2003. The serial numbers on Bechuanaland air letter sheets. The Runner Post 57, 1398 - 1401. Thy, P., Inglefield-Watson, J., and Andersson, A., 1995. Postal stationery of Botswana: stampless registered envelopes. The Runner Post 39, 863 - 879. Thy, P., Kasper, J. and Inglefield-Watson, J., 2002. Watermark orientations and printing of Bechuanaland and Botswana aerogrammes. The Runner Post 55, 1360 - 1362.
van der Molen, P., 1990. The ‘stampless’ registration envelope. The Runner Post 21, 379.
van der Molen, P., 1992a. The Bechuanaland 1961 QE2 2c postal card. The Runner Post 28, 549 - 550.
van der Molen, P., 1992b. The Bechuanaland 1961 QE2 2c postal card. The Runner Post 29, 571.
van der Molen, P., 1992c. The Bechuanaland QE2 aerogrammes. The Runner Post 29, 581 - 584.
van der Molen, P., 1996. The Bechuanaland Protectorate definitive registration envelopes. The Runner Post 42, 970 - 981. Wall, D., 1992. News from Botswana. The Runner Post 29, 573 - 576. Whitworth, A.A., 1997. Dies (or types) of the G.B. halfpenny KGV 3/4-face stamp for postal cards & wrappers. Journal Postal Stationery Society. October, 1997, 9 - 13. Wiggins Teape, 1987. Personal correspondence to P. van der Molen. Williams, L.N., 1990. Fundamentals of Philately. Revised Edition. American Philatelic Society, State College, Pennsylvania. Young, J.D., 1976. The Victorian overprinted issues for P.O.’s abroad. The Overprinter, Jan. 1976. G.B. Overprints Society.